For the third time this month, LSU lost the services of a key member of the 2018 football team. Last week, coach Ed Orgeron announced starting right guard Ed Ingram was indefinitely suspended for a violation of team rules. On Wednesday, backup inside linebacker Tyler Taylor was indefinitely suspended after it became known that he had been arrested in Georgia last May on possible felony charges. On Thursday, the NCAA denied cornerback Kristian Fulton’s appeal to have his current suspension reduced. Fulton was given a two-year suspension following the 2016 season for failing a NCAA drug test and then attempting to use another person’s specimen. Fulton sat out the 2017 season. He desired to have the second year of his suspension reduced, if not rescinded. Fulton’s appeal was heard by a conference call Thursday afternoon. The appeal was denied, so Fulton must also miss the 2018 campaign. Fulton has been working primarily with the second defense in the first week of preseason practice. 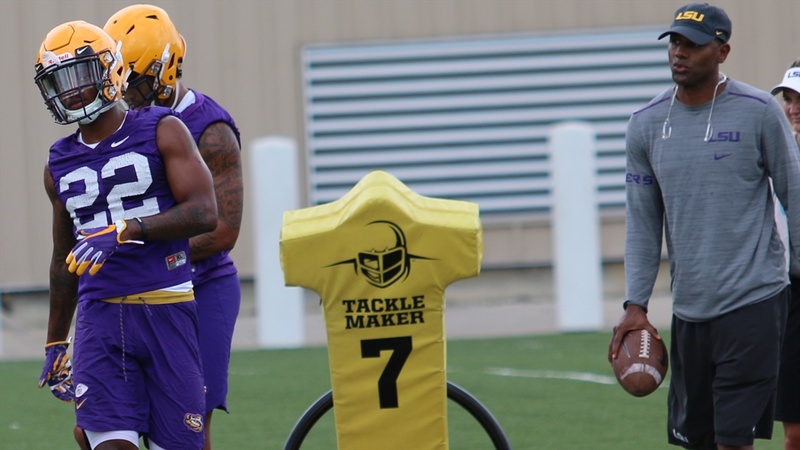 When Greedy Williams missed Wednesday’s work, Fulton took the first snap as the No. 1 left cornerback. Fulton will be able to practice with the team. Kary Vincent and Williams are projected to be the starting cornerbacks for the Tigers in the season-opener against Miami. Stanford graduate transfer Terrance Alexander is considered to be the leading candidate at nickel back. The next two cornerbacks are Jontre Kirklin and freshman Kelvin Joseph.